Commonwealth Games England (CGE) will announce whether Birmingham or Liverpool will be their candidate for 2022 in September, insidethegames has been told. CGE chairman Ian Metcalfe and chief executive Paul Blanchard told insidethegames here that they are expecting the Commonwealth Games Federation (CGF) to select a host city for the 2022 event, stripped from Durban in March after they failed to meet financial guarantees, in early November. The CGF have not revealed when a decision will be made. CGF chief executive David Grevemberg said in April that they had hoped to complete the process by mid-summer. Their respective Commonwealth Games Associations (CGAs) have until September 30 to submit a formal bid to the CGF. Cities will then be given the chance to put their case to the CGF before a city is chosen the following month. 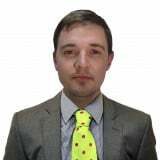 "To be fair to the CGF, they want to make sure the process is as thorough as possible," Blanchard, attending the Commonwealth Youth Games here as part of the CGE team along with Metcalfe, said. "They’re going to make sure the cities involved have the best chance in a small window to get themselves up to a point where they can present their best case. "While we would like a definitive timescale, we understand why there has not been one. "They’re going to have to provide it soon enough but we understand why they haven’t got to that stage yet." Birmingham and Liverpool are both attempting to secure the Games for England and Blanchard claimed CGE were in a "very strong position" due to the quality of the two cities' concepts. "The honest answer to who’s the favourite is that you cannot call it," he said. "We are in a very strong position in that we’ve got two there who have got another month or so to develop their bid and address some of the issues that have been raised. "But they’re not fundamental issues. "If you think about how much time they have had, particularly in comparison with a normal bid process, they have done a staggering amount of work to get to where they are." Blanchard, appointed chief executive in June 2015, also insisted there was no complacency from the CGE and dismissed suggestions they were the favourites to land the hosting rights for the events in five years' time. "We are optimistic but there is absolutely no arrogance about it and we know we are in a tough international battle," he added. "We have a competitive domestic battle going on but we are happy about that because the winner of that will be a very, very good bid. "We’re under no illusions that there are three runners who are each eminently capable of staging the Games." Both cities have already undergone an inspection from the Government as the Commonwealth Games Delivery Unit (CGDU), established by the Department for Digital, Culture Media & Sport and led by Nick Pontefract, formerly the senior civil servant responsible for sport for the Government, visited them earlier this month. Their recommendations will be crucial in deciding which city is put forward by the CGE. 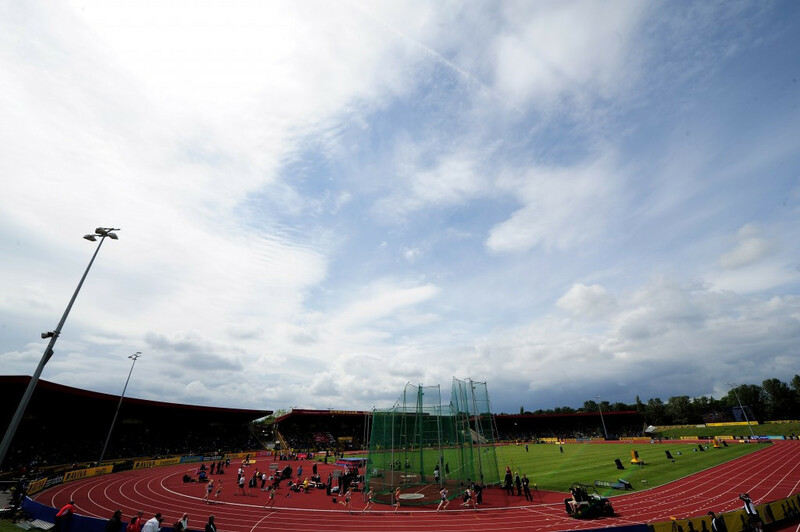 Birmingham's bid includes extensive renovation work to the existing Alexander Stadium, the home of UK Athletics which has has been a host of International Association of Athletics Federations Diamond League athletics meetings. It would stage athletics and the Opening and Closing Ceremonies. Villa Park, one of the most famous football stadiums in England which is home to Championship club Aston Villa, the NEC Arena and a brand-new aquatics facility in Sandwell are other key venues in their concept. The Bid Committee have drip-fed information regarding their bid, while Liverpool unveiled their whole plan in one go in June. The centrepiece of Liverpool's campaign is the riverside regeneration of the city’s Bramley-Moore Dock, the proposed site for Premier League Everton’s new stadium and where a temporary athletics track would be laid during the Games. A floating swimming pool is another key part of Liverpool's bid. 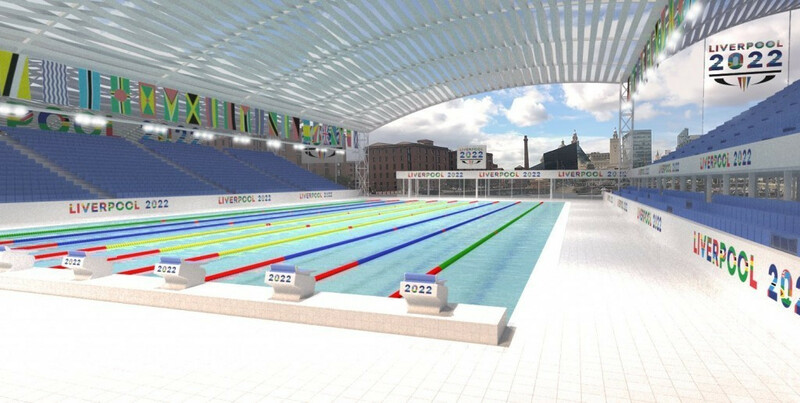 The 50 metre pool structure, with seating for 5,000 spectators, would be built on the water near Albert Dock. Anfield, home of five-time European Cup winners Liverpool, would host the rugby sevens and Everton's current stadium Goodison Park would be the venue for the boxing events. Manchester, who successfully hosted the Commonwealth Games in 2002, will provide the venue for cycling and cricket.